Host a pizza party or have a family fun pizza night with this bundle from Pizza Que! 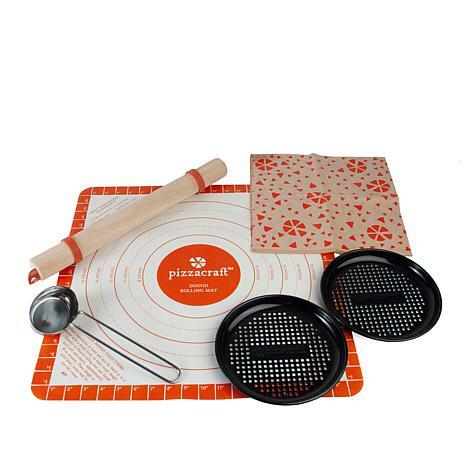 With a rolling pin and mat, 2 pizza pans and a sauce scoop, this kit has all the pieces you need to make your very own delicious, personal-sized pies. Just mix up some dough, roll it out, place it on the pans, add your favorite toppings, bake and voila! An amazing, personalized pizza pie creation will be served! Do not cut dough with sharp blades as doing so will damage the mat.